The supposition: Common Core implementation is worthwhile. ...the standards only define what students should know. 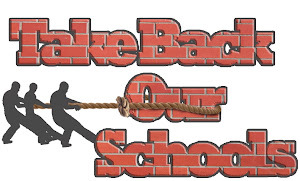 They do not mandate how teachers should teach or what courses school districts must offer. Those decisions remain with local districts, as they always have. Do the Common Core State Standards instruct teachers to teach using certain methods? No. The Common Core State Standards documents do not provide instructional strategies or limit instructional strategies. The CCSS do provide illustrations and examples of the content described by a standard but do not establish a preference for a particular strategy. In fact, the opposite is true. Teachers continue to be encouraged to use the many methods, strategies and algorithms available to them as they instruct students. DESE is waging an educational propaganda campaign and is not being entirely truthful. 3.3 million teachers will be asked to change their practices, routines, and lessons this year to align with the Common Core State Standards. That is a staggering number when you think about that many Americans essentially experiencing a major job change at the same time! What is the extensive teacher training/development necessary for Common Core if not to provide strategies? Isn't "changing practices, routines and lessons to align to the CCSS" mean teacher decisions on "what kind of practice, routines and lessons they must use" are centered around the CCSS and in reality, dictate how/what teachers must teach? It is inevitable that with all this change, some of us will fail. We will mess it up. We will get it wrong and forget some essential component (of a standard, a lesson, a concept). Our central offices will mess up too. Trainings will go awry, resources arrive late, and support will be well-intentioned, but spotty. Are we prepared to tolerate this process and allow ourselves to take the necessary responsible risks to LEARN and grow? The writer is referring to the new educational practices the teachers must use. The apparent educational chaos may impact students' educational future. Are you willing to have your children be the guinea pigs while the teachers learn a new way to teach? Do you envision a "world class education" as based on no data? Educational reform should be based on data/research/best educational practice, not on "hope" and waiting for teachers to "LEARN and grow". Our children are not experiments for teachers to "get it right" for an educational theory based on guaranteed outcomes. It's not fair to the teachers or the students. 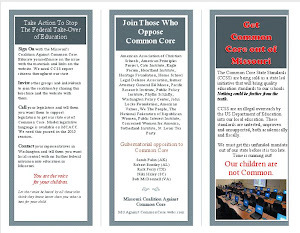 Over the past couple of years, I have had the opportunity to discuss these concerns with many Common Core supporters. 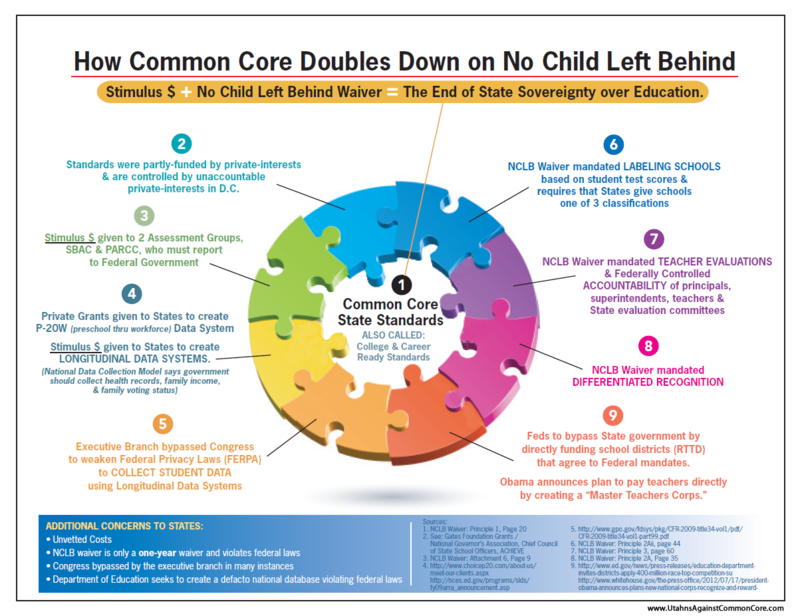 Although I typically disagree with their conclusions or their logic, I believe Common Core supporters are for the most part sincere in their belief that these standards are rigorous and will improve outcomes for students. However, I find claims that the Common Core State Standards will not influence instructional practices downright disingenuous and obviously false. In a recent Twitter exchange, the Missouri Department of Elementary and Secondary Education informed me that the CCSS don’t “tell teachers how to teach.” This is a phrase that has been echoing across the country as the Common Core has come under attack from the left and the right. The fact is that curriculum standards don’t tell teachers how to teach in the same way that a high jump bar doesn’t tell a jumper how to jump. You could theoretically jump over a high jump bar in whatever way you would like; but because of how the jump is structured there is a clear advantage to doing the old Fosbury Flop. It is clear from documents on the Common Core website and from the discourse throughout the country that these new standards encourage constructivist teaching practices. Take for example these two quotes from a Key Points in Common Core Math document. The standards stress not only procedural skill but also conceptual understanding, to make sure students are learning and absorbing the critical information they need to succeed at higher levels ‐ rather than the current practices by which many students learn enough to get by on the next test, but forget it shortly thereafter, only to review again the following year. Having built a strong foundation K‐5, students can do hands on learning in geometry, algebra and probability and statistics. Students who have completed 7th grade and mastered the content and skills through the 7th grade will be well‐ prepared for algebra in grade 8.